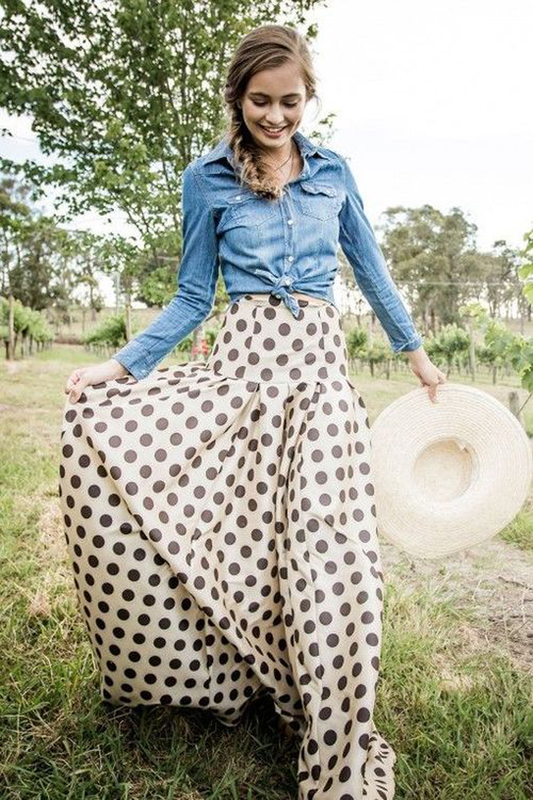 How to wear a polka dots skirt? 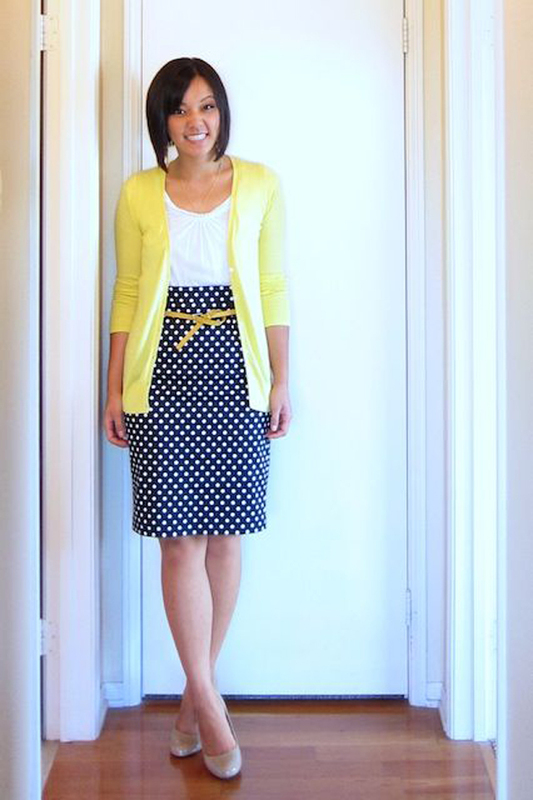 If you want to wear the skirt to the office, combine it with a white or even light grey blouse or shirt. 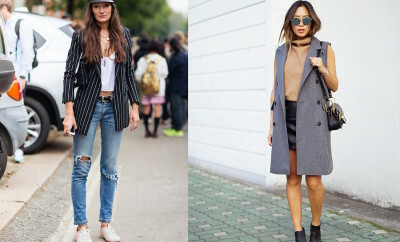 You can wear a cardigan or a blazer. 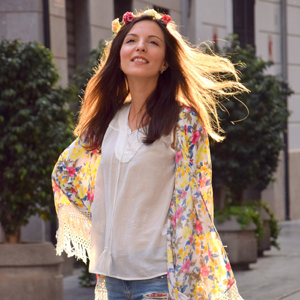 The blazer is more elegant and suitable for office outfits while the cardigan makes a great combination with ankle boots or a vest. 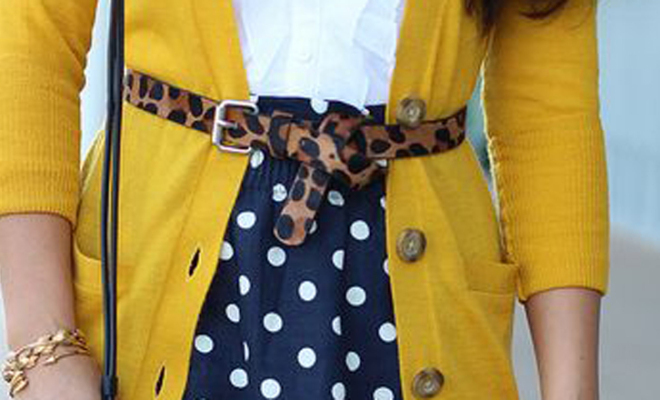 When it comes to colors, you can combine the navy skirt with red, mustard, yellow and of course, white. If the weather is asking for it, well, wear tights. I prefer the black tights with black shoes. I don’t like the skin like tights, especially those that have lycra. However, if you wear black tights, with black shoes and the navy skirt, wear a light color on top – the best choice would be white. If you are wearing mostly dark colours, you can easily wear a black bag. 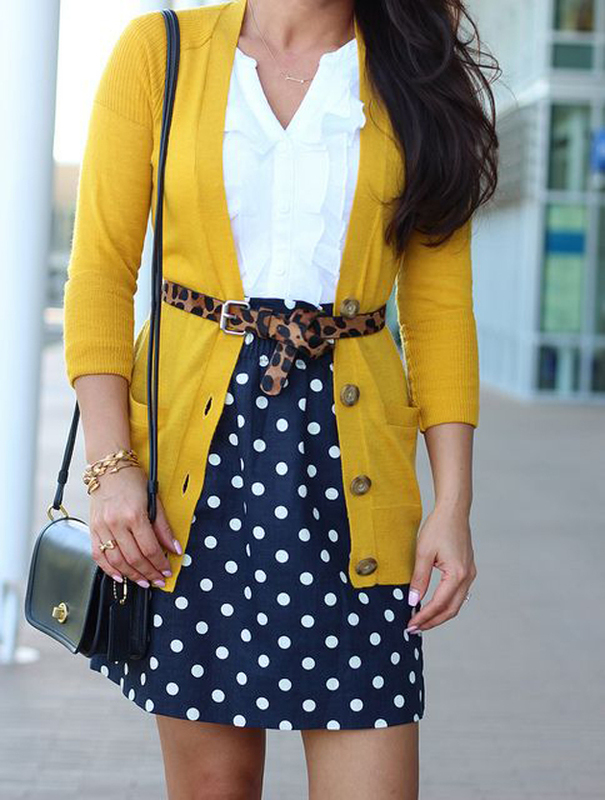 If you choose to wear white or mustard, beige handbags are a good fit. A navy bag works as well, but you have to match the shade of navy. 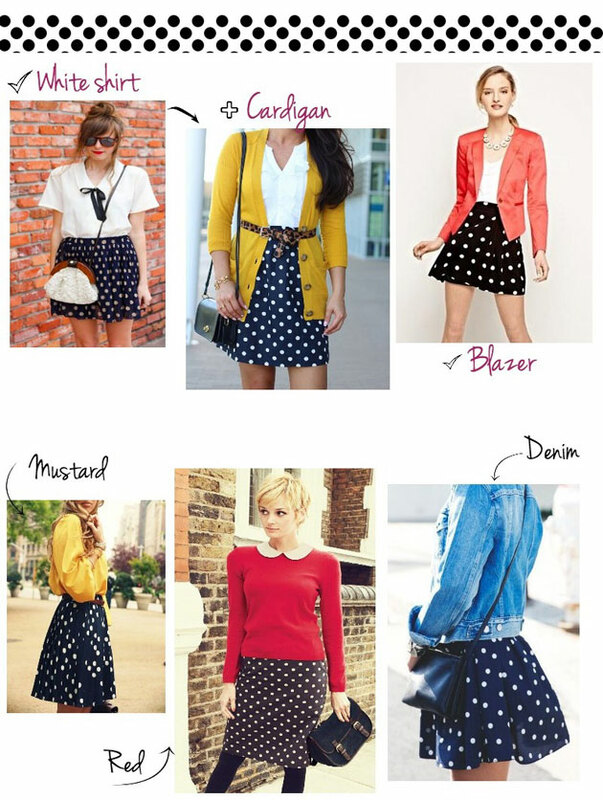 Another good outfit proposal is to wear a navy skirt with white polka dots, a white blouse and red shoes.